All Female. All Asian. All Funny. 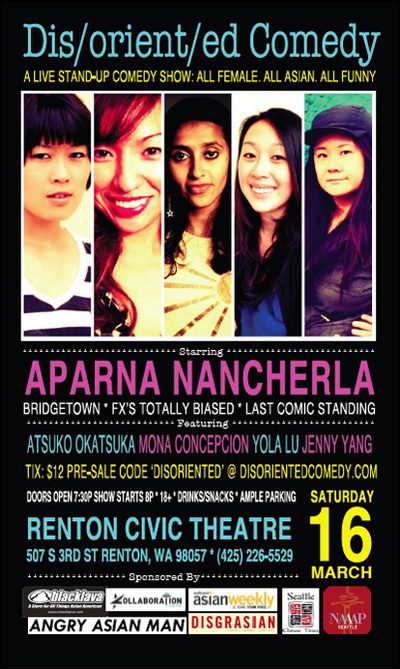 This show will provide a showcase for local up-and-coming Asian American female comedians and feature exciting comedians from throughout the country. For you, Angry Readers, a discount. Use the discount code STAYANGRY for $12 tickets. The code expires Saturday, March 9, so get on this. For purchase information and any updates, visit the Facebook page.